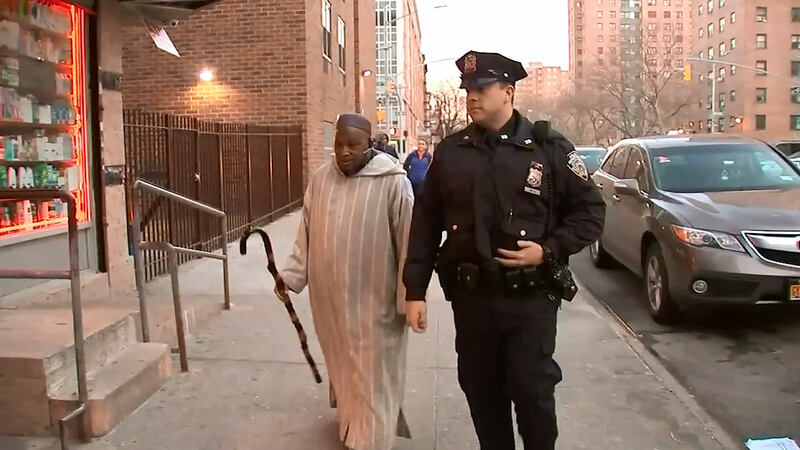 HARLEM, Manhattan (WABC) -- As NYPD units fan out to mosques across the city in the wake of terror incidents and ongoing immigration concerns, for some officers it is already part of their routine. Many mosques already know their local officers, as part of an ongoing program that has built relationships through daily checkups, lunches...even soccer games. "The police are always there to make sure the community is OK," said Souleimane Konate, the Imam of the Masjid Aqsa mosque in Harlem. "Our relationship is great. We even play soccer games between our team and officers of this precinct." "When things happen like that, we always make sure the police are there, for the community to know that the police are here to protect us. Not to harm us," Konate said. "We have a relationship already built," said NYPD officer David Mejia, the 28th Precinct's neighborhood coordination officer. "So when cases like this happen, we are not going there to meet them for the first time. We already have that rapport. "It starts off by taking a step forward, introducing ourselves, going in there. Knowing what they are about and letting them know we are here to help them, and help the community as well. "They are very receptive. When we are there they are very welcoming. They invite us in. whatever we need they are there for us, and vice versa. Whatever they need we are there for them. "It feels great. It feels like all the pieces are together."